Rollin' down the river with Proud Mary and her krazy krewe! : Excuse me missy, is your son a pirate? Noah is starting to actually want to choose what he wears lately. This for one makes me sad because I try my best to make him as stylish as as any 2 year old can be. This past Saturday we took advantage of the sunny weather and headed down to the Audubon Zoo (and they all asked for you!). I let Noah pick out his outfit. Naturally he chose his elephant shirt but decided on a few additional accessories. No outfit is complete without an eye patch and a single skeleton glove (thanks MJ for still having the 1 glove look rocking in 2011!). Clint was quite embarrassed and kept on telling me to take it off. I disagreed and let Noah keep it on. Sure he got some looks, but I was letting him by the little 2 year old that he is. 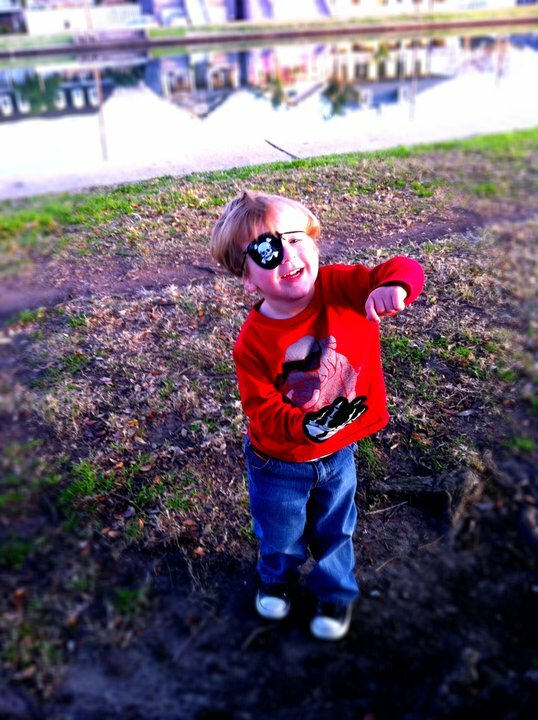 I bet the other pirate loving little boys were envious of his cool patch. 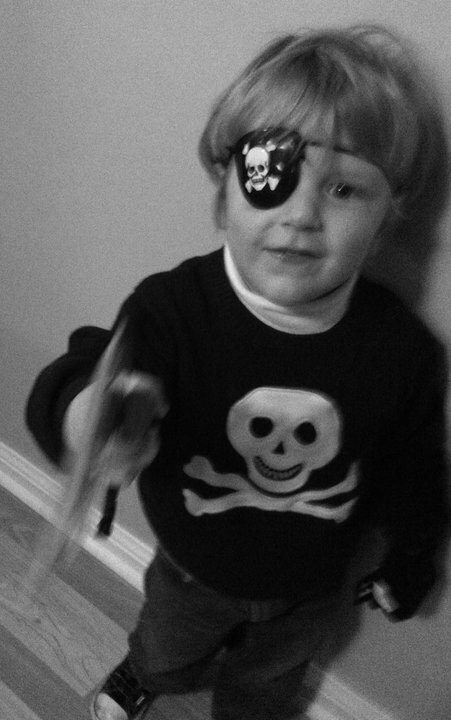 The pirate movement is still rocking in our house today. 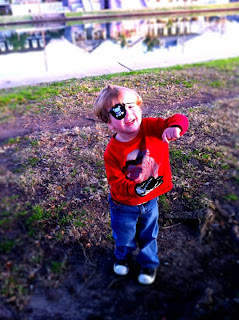 This morning I put out for Noah to wear his pirate sweater. Noah insisted on putting on the patch, glove and adding a new accessory a sword! I'm wondering what his preschool thought of the ensemble. Hopefully Noah didn't plunder anybody! Wonder what obsession he will have next, I'm putting my bets on Spiderman.